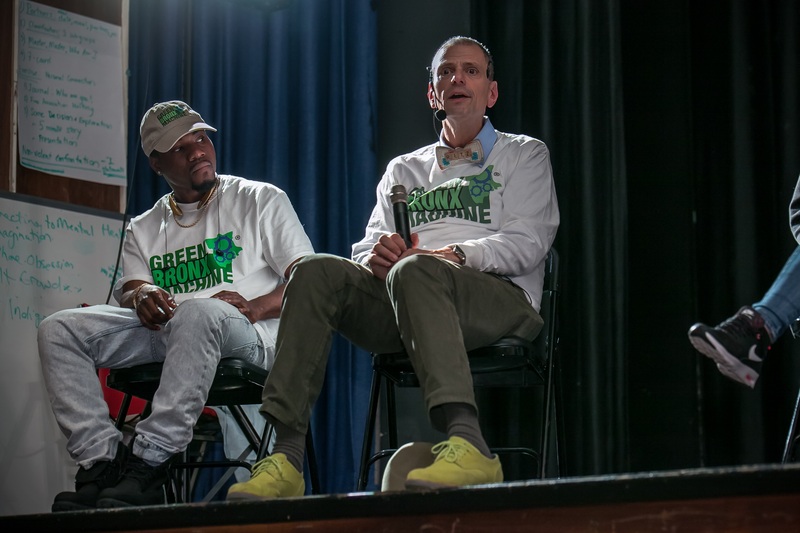 LoyaltyOne Air Miles is partnering with FoodShare Toronto and Global Teacher finalist Stephen Ritz of the educationally acclaimed Green Bronx Machine to launch the Good Food Machine, a new healthy food education program for children in Canadian communities. The first of its kind in Canada, the program launches in Toronto this September and aims to transform the health and eating habits of students in primary and secondary schools through an ongoing curriculum of how to physically grow, cook and eat healthy food –all while in the classroom. The Good Food Machine builds on years of work FoodShare has established in Toronto schools and now expands the number of schools benefitting and grants greater access to resources and food literacy curriculum. The Good Food Machine is based on the Green Bronx Machine, the first indoor edible classroom in NYC which grows enough food to feed 450 students. The greatest success of this US program is the measured impact it has on the children, with 40% daily attendance increased to 93%, 50% reduction in behavioural incidence and bullying and 100% of post-secondary graduates training or working wage jobs. 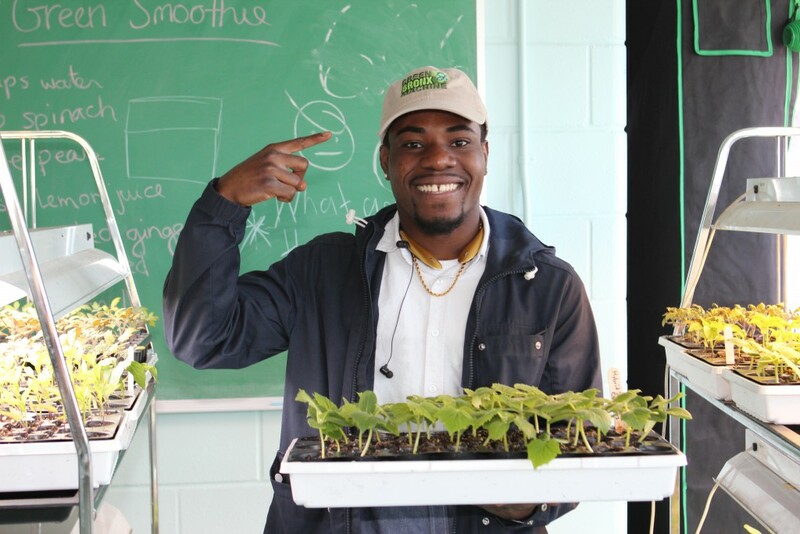 support from FoodShare Educators who will visit the schools regularly to bring food literacy education to life through teacher mentorship and in-class workshops. Selected schools were shortlisted by FoodShare and the Toronto District School Board (TDSB), and were invited to apply for a spot in the program. Schools were chosen based on a positive school community, a teacher who would champion the program as well as considering a variety of grades and specialized student programming. Priority was given to schools that rank high on the TDSB Learning Opportunities Index (LOI). The LOI ranks each school based on measures of external challenges affecting student success. It measures relative need and compares all schools on the same set of data. You will be able to buy a full Good Food Machine kit for your school for $15,000 (includes 2 towers plus accessories, 1 mobile classroom kitchen, 1 21.5 inch iMac, Stephen Ritz’s curriculum and livestream access to Stephen teaching classes). Partial kits are also available. For $8,000 your school can also access a dedicated Foodshare Educator to come you your school regularly for one year to help you run your program.